This Autumn season Performing Arts clients will be opening a huge variety of shows, please click through each production name to find out more, or choose the client’s name to view their page. 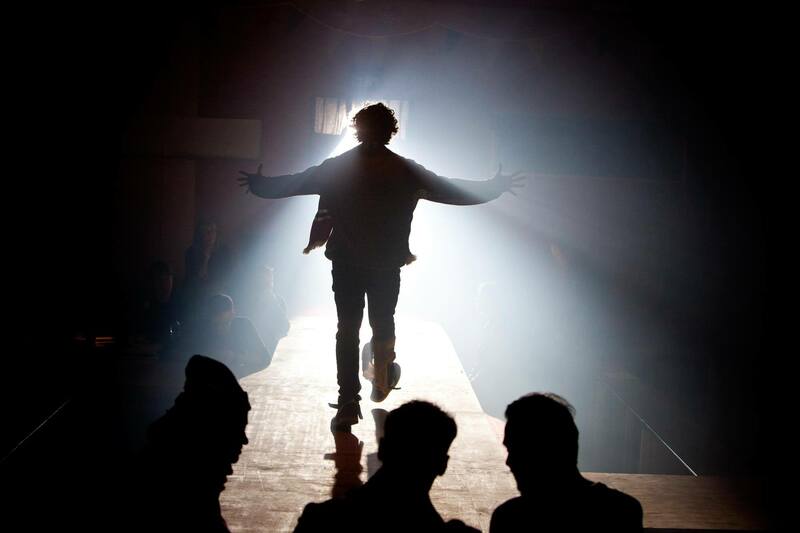 This August several clients open shows at the Edinburgh Festival Fringe, including User Not Found, designed and lit by Zia Bergin-Holly for Dante or Die, opening 3rd August at The Traverse Theatre, before touring throughout Britain this autumn across Britain. Also at the Traverse, Zoe Spurr Lights Meek for Headlong, opening August 4th and a stage adaptation of Nigel Slater’s TOAST, opening August 7th. Finally, Zoe will light Sparks at the Pleasance Courtyard, opening August 1st. Peter Small will be lighting How to Spot an Alien, Sticks and Stones and Island Town for the Paines Plough Roundabout at Summerhall before the pop-up venue heads out on a UK tour opening 6th September at The Lowry in Salford, touring until 21st October. At the Fringe he will also be lighting Square Go at the Roundabout and Ad Libido, opening at the Pleasance Courtyard on August 1st. Scenic Art from Valentia Turtur can be seen in Mr Swallow and the Vanishing Elephant, playing at the Pleasance courtyard throughout August. I’m Not Running at the National Theatre opens 2nd October, lit by Jon Clark. Jon also will light several of the Pinter at the Pinters productions, a season of one-act plays by Harold Pinter, including One For The Road/New World Order/Ashes to Ashes on 28th September. His designs on The Inheritance, a two-part play about the aftermath of the AIDS crisis, are transferring to the Noel Coward Theatre from 21st September. 2nd October will see the opening of Twelfth Night at the Young Vic, the first production directed by the new Artistic Director Kwame Kwei-Armah, with costumes by Brigitte Reiffenstuel. Brigitte is also working on the transfer of Kiss Me Kate to Oper Graz, opening 20th October, which was originally directed by the late Lee Blakely. 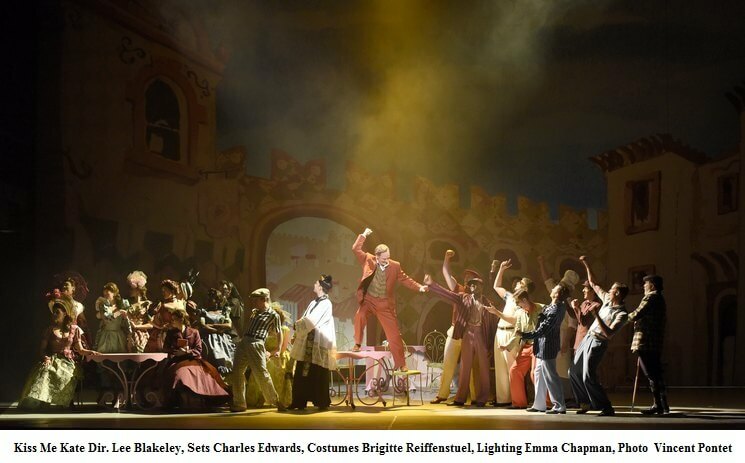 Charles Edwards designs sets, and original lighting was designed by Emma Chapman. Peter Small will be re-lighting the production as lighting associate. In August, Zia Bergin-Holly lights The Lion in Winter by English Theatre Frankfurt, opening 31st August. She also lights The Bystander for Junk Ensemble at Dublin Theatre Festival, as well as designing sets and lighting for The Misfits for The Corn Exchange, also at Dublin Theatre Festival, from 27th October. Zoe Spurr is very busy this season, lighting Abigail’s Party which opens 30th August in Hornchurch and 26th September in Derby, as well as the contemporary response Abi, opening 4th September in Hornchurch and 29th September in Derby, as a part of Derby Theatre and Queen’s Theatre Hornchurch’s RETOLD series. RETOLD focuses on showcasing the talents of contemporary female British playwrights, by taking a new look at classics from a fresh female perspective. Zoe also lights The Unreturning for Frantic Assembly (24th September), and Silence at the Chichester Mercury Theatre 16th October). The Play That Goes Wrong, with lighting design by Ric Mountjoy, continues it’s extensive UK tour, still to appear in Blackpool, Brighton, Leicester and many more before finishing in Poole 6th October. Ric is also working on Uncle Vanya, a new adaption of Chekhov’s classic, which will open at the Theatr Emlyn Williams, Theatr Clywd in Mold on 26th September before transferring to the Crucible Studio in Sheffield on 18th October. October 19th sees the opening of the opera Carmen at The Dallas Opera, with original Choreography by Andrew George and which will be re-lit by Clare O’Donoghue. Alastair West is working with Northern Ballet on two productions this October, designing the lighting for Puss in Boots, their children’s ballet opening 27th October, and re-lighting the Olivier-nominated The Three Musketeers opening 4th October. Leah Hausman is in Vienna at the Wiener Staatsoper, where she is choreographing Les Troyens, opening 14th October. Our newest client, Chuma Emembolu is lighting several productions in London this season, including Trying to be Her for The Writing Network opening August 17th at The Etcetera Theatre, Richard III for Open the Vault productions opening August 21st and The Sword of Alex for Beyond the Pale opening on September 18th, both at The White Bear Theatre.